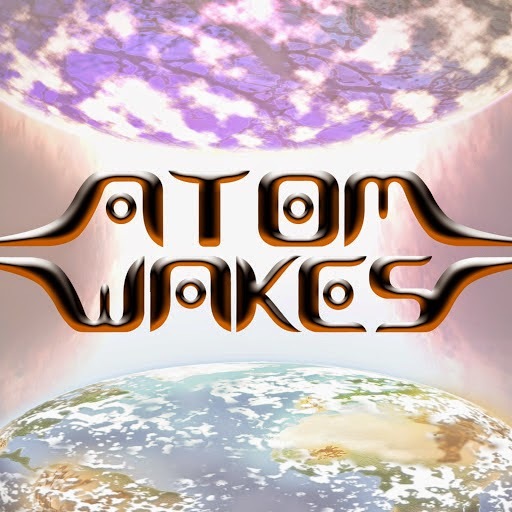 Atom Wakes tells the story of some kind of alien race called the Ingets. The Ingets appear to be a plant based race, but it isn’t very clear. This alien race is searching for a planet to settle on to make a life for themselves. At the beginning they discover a planet they name Eunycota, That is perfect for them to settle on. It has a lush environment, and is orbiting a “young star”. They are hopeful about their life on Eunycota, but it is not to last. The young star is close to going supernova, and the only hope lays in an old magnetic technology that the race has decided to never use again. After some convincing the main Inget named Luxen convinces the rest that he can use the technology, but modify it so it won’t call the “black lighted ones”. Luxen manages to get the technology up and running, and once again the Ingets are happy. The technology won’t fix things permanently, but will allow the Inget ships to charge with enough energy to once again search for another suitable planet to settle on. But the technology backfires and calls “black lighted ones” anyway. It isn’t entirely clear what they are, but it is very clear that they are a threat to the Ingets. When Ingets start to die Luxen rushes to his lab to shut down his machinery. But Luxen is aware that it is too late, and that what has occurred is his fault. As a last ditch effort Luxen experiments on himself in an attempt to save his own life. Luxen extracts the membrane that separates the light realm from the physical realm. Luxen injects the membrane into himself by diluting it into his blood, and puts himself into a capsule that will bond the elements to him. Luxen hopes this will allow him to slip through to the “otherside” and evade the threat. The experiment works and bonds Luxen with the darkness. Once Luxen is recuperated he makes a run for one of the domes they arrived on. The dark ones leave him alone, but he only has a limited time to get off the planet, and he can only move so fast because he is still drained from the experiment. Then suddenly with just a thought Luxen is teleported into one of the domes. He is confused but relieved. He gets off of Eunycota, and begins his voyage to find a new planet. Something goes wrong and Luxen ends up split into three. His bioelectric energy, which is absorbed by the light realm. His physical body, which drifts back to Eunycota. and his “Salvation”, which goes flying off at an extreme speed. The portal doesn’t allow physical matter. One of these forms ends up being shot through space to another planet like Eunycota. The essence crashes on the planet where it is confronted by a small child, revealing that it has landed on Earth. The story is hard to follow. It reads like an issue late in a series that is designed to give you the backstory of a character that the reader has been following for several issues before. The problem is the reader has no prior history with these characters going into this issue. Though this may read a lot better in a larger chunk. The art of Daniel Sasso serves the book well. It looks digital, but that doesn’t hurt the book at all. It is vibrant, and gives the world of the book a unique feel. It is a little rough around the edges at points, but I can see the true potential. I can see potential for people to really get into this series, but it just isn’t my kind of book. I would tell my friends that I know are into these kinds of books to take a look at it. I think this is definitely a case of “Mileage May Vary”. I may revisit Atom Wakes after there are more issues to see if it has more grip to me with more of the story to take in. Thanks for reading this review. I have put out a request to the creators for an interview about this series but haven’t heard back from them. If you have questions, comments, or requests please leave them in the comments. Thanks again and keep reading fellow comic fans.